We have fished and dove these waters for the past 13 years and have a track record to prove it. Here at Indigo we will use whatever methods it takes to put you on the fish of your wildest dreams. Once you get on the water and head out to where the hot spot of the day is, our expert guides will make sure to stop on the way so you can buy live bait directly from the local fisherman. 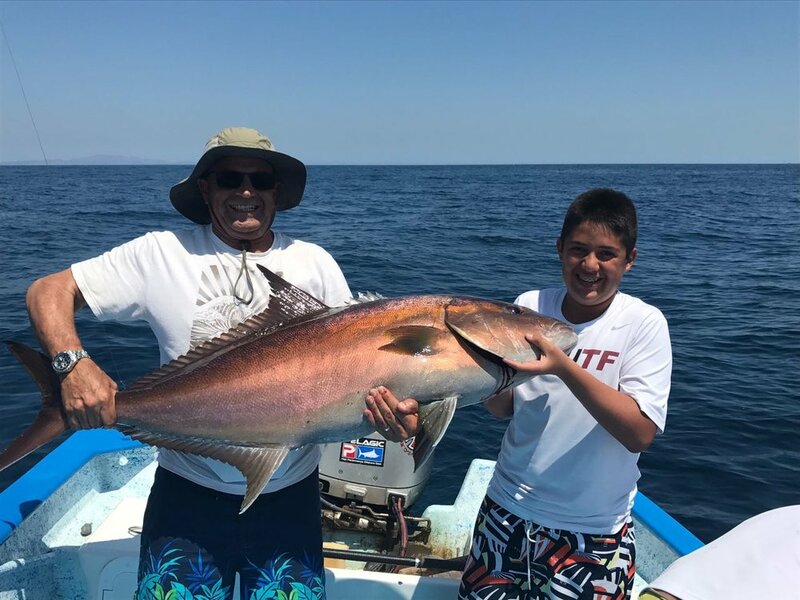 Indigo uses industry proven rods and reels, line and the necessary tackle and technique to land the big ones. Cruise aboard one of our safe, and comfortable boats to do some offshore fishing in a protected cove or bay. To chase Pelagics with us as we head offshore to the outer banks in search of Marlin, Yellowfin Tuna, Wahoo, Yellowtail, and Dorado. When the fish move and the conditions change, however, the crew follows, always trying to fish in the best of conditions. Whether you’d like to troll for big Blue Marlin, kite fish for Cow Tuna on the banks, or cast live baits on light tackle for trophy Roosters and Snook, we are happy to customize your fishing experience. We provide light refreshments, ice, fishing rods/reels.